Are you getting calls about your roof? Let Joe Know looks into calls and texts from supposed buyers or workers who know your home and address. What should you do? Someone calls out of the blue. They know your phone number and your address. They say they are on their way to check out your roof. A lot of you let me know you're getting similar calls, emails and texts. One woman saw it go even further. She wrote: "saw a guy stop at an elderly neighbor's house wanting to go in her yard. I think he was seeking roofs to repair." Addresses are easy to find and phone lists can be bought online. 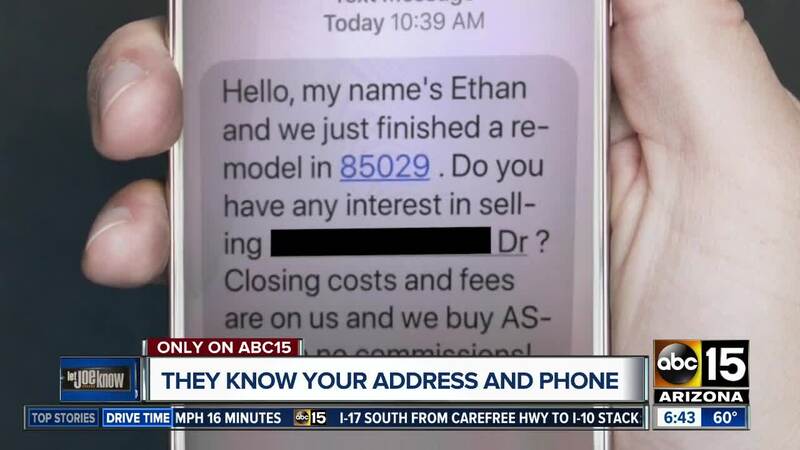 Other people are getting calls from "realtors" asking if you want to sell your house and they know the address. In most cases, these seem to be harmless, but if someone comes to the door, do not answer. If you feel threatened, call police. And in any of these situations, don't hire the person. My rule is never hire someone who calls you out of the blue. You need to do your homework, research and CALL THEM.